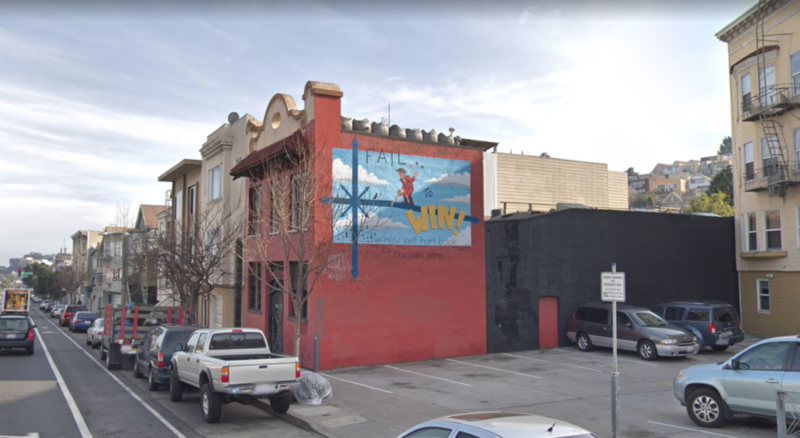 Another artistic and whimsical piece of San Francisco sold last month — for top dollar — when showman “Chicken” John Rinaldi parted with his esoteric Cesar Chavez Street warehouse for $1.8 million. Per public documents available at the city’s Assessor-Recorder’s office, the listed owner is now one Andrew Greenstein. Documents reveal that Greenstein received a loan to buy the property from Erick Hachenburg, the CEO of the tech company MetaCafe. That’s the former place of business for current SF AppWorks CEO Andrew Greenstein. The sale closed on Oct. 22. Contacted through multiple channels, Greenstein of SF AppWorks did not respond to messages seeking comment. It’s unclear what will happen to the unique and exquisitely decorated warehouse, but sources with familiarity with the building noted that there are far, far more lucrative uses for it than the artistic site and event space Rinaldi was, until recently, hosting. The self-described showman and former fringe mayoral candidate was, in 2015, dinged by building inspectors for allowing up to 30 people to sleep in two bedrooms in the building, according to city records. He obtained permitting for the entertainment venue and corresponding single hotel room last year. Rinaldi is a musician, entertainer, and local cult icon who ran against Gavin Newsom for mayor in 2007. He obtained the warehouse in 2004 for $370,000. He has utilized the space as an entertainment venue and as the headquarters for the San Francisco Institute of Possibility. Rinaldi declined to speak to Mission Local for this article. The sale of this warehouse was long in coming. He has been attempting to hawk his digs since 2009. And, like most every city property owner, he did well to wait — the sales price in ’09 was $899,000. How times change. The 2018 sales price is nearly quintuple what Rinaldi paid in 2004. In other words: Good show. Does that mean that Greenstein purchased the property or received a loan from Hachenburg? This is a nonsense scenario. The ownership — and a plethora of deeds and other documents — is all recorded, in black and white, at the Assessor-Recorder’s office. This is what the term “recorder” implies. Bought for $370K a mere 14 years ago and just sold for $1.8 Million?! That’s nearly 400% in speculative profit! Plus, according to this article, it was being used as a Ghost-Ship- type illegal/slum tenement — with 30 people in 2 bedrooms!!!! That “Chicken” John Rinaldi is so greedy! Why isn’t he in jail!